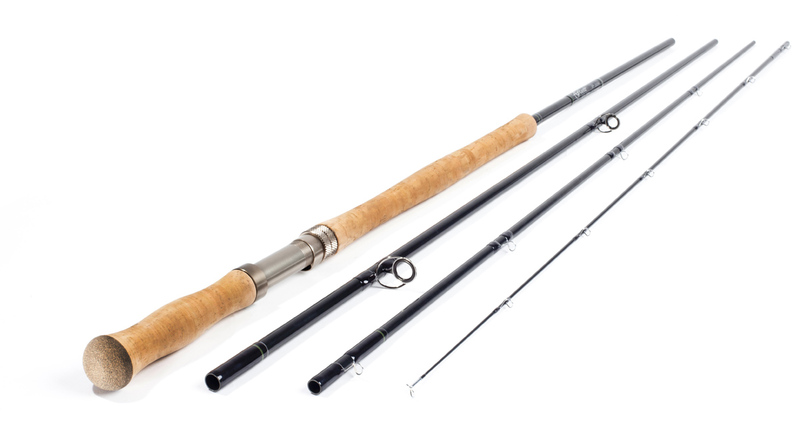 Scott has introduced a smooth and powerful new line of Spey and Switch Rods that will fit all of todays casting styles. It doesnt matter if you are in the Orkla river fishing with heavy sink-tips on a Skagit line, fishing a Scandi lines on a light Switch Rod, or covering giant water with a Traditonal Long Bellies on a 15 footer, the new L2H has you covered. Scott L2H series two handed rods are designed and optimized for today’s new line tapers and casting styles. Scott is the industry leader in developing blank technologies that help reduce torque. What this means to the average guy is the fact you will be able to get the most out of your two-handed fishing. We’ve incorporated many of these innovations into our new L2H series of two handed rods so you can get the most of your two handed fishing. These rods transfer power smoothly and are incredibly stable when changing directions or applying forward stroke power. They cast flatter, tighter loops that deliver greater distance and accuracy. Components are top of the line, with new grips shaped from Super grade cork, TiCh coated reel seats with self aligning slide hoods, and TiCh stripping guides that feature SiC inserts. Even at the budget minded price point the consumer isnt giving up anything in quality; just like every rod Scott makes they are hand built from start to finish in Montrose, Colorado. A light switch rod that can be fished either overhead or two handed for half pounders and for applying two handed techniques for trout. This light line switch rod is perfect for targeting summer runs or for taking your two handed game to the trout stream. A great all-purpose switch rod for small to medium sized rivers, sea trout, grilse and medium sized salmon. This rod has the grunt to lift heavy rigs and turn powerful fish. For heavy lifting in the switch rod category. Perfect for rivers where space is confined but you still expect to hook up with bigger fish, equally at home in Scotland as in Norway or Russia. The L2H 1256/4 handles floating lines and lightly weighted flies with ease. 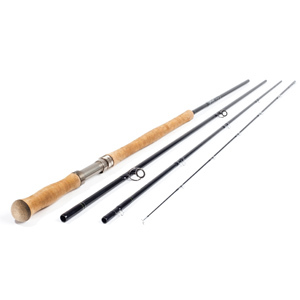 Light, smooth and responsive, this is an ideal rod for most steelhead and salmon conditions. This rod casts beautiful long flat loops and has a progressive bending curve to supply power when its needed. The all around work horse of the L2H series will cover most conditions with smooth power and crisp clean loops. The big gun. Take this rod on early season high water trips or when bigger rivers are swollen with rains or snow melt and long casts with heavy tips and big flies are called for.